Gambling revenue for Indian tribes in the U.S. showed an increase in 2012, which may not be good news for online poker legislative efforts in several states. A recent report released by the National Indian Gaming Commission reveals that revenue generated last year by land-based tribal gaming operations reached an all-time high of $27.9 billion. That statistic marks three straight years of growth for tribal concerns following a decline brought on by a slumping economy in 2008. While an increase in gross gaming revenues would normally be a reason for rejoicing, those hoping to see online poker and gambling legislation spread throughout the United States may experience just the opposite. Several tribes are not yet sold on the benefits of expanding their operations to the Internet, believing that doing so would affect the existing revenue stream enjoyed from customers physically visiting their casinos. Some tribal leaders are of the mind that things are going well currently and there is no need to try fixing something that is not broken. 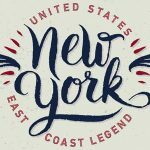 This certainly is not the belief of all tribal gaming interests, but there may be enough holdouts to prevent, or at least delay, efforts by certain state lawmakers to approve online poker and gambling legislation. California is one such state where powerful tribal interests have considerable input in any proposed or future online poker legislation. The Golden State tribes contribute greatly to the state’s overall economy and past attempts at legislation have found some to be against Internet expansion. 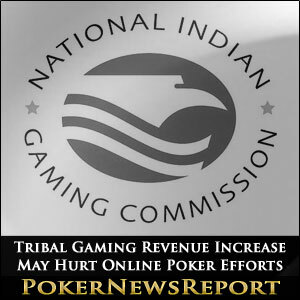 The best way for those tribes opposed to online poker to be persuaded into changing their stance on the issue would be for tribal factions who are in favor of Internet gaming regulations to convince their tribal brethren that profits would actually increase. 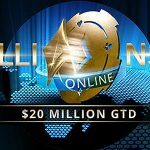 Most studies have shown that with regards to poker, live player traffic may spike upward following online regulations. Marketing efforts that allow online players to advance to live tournaments are a central component to this theme.